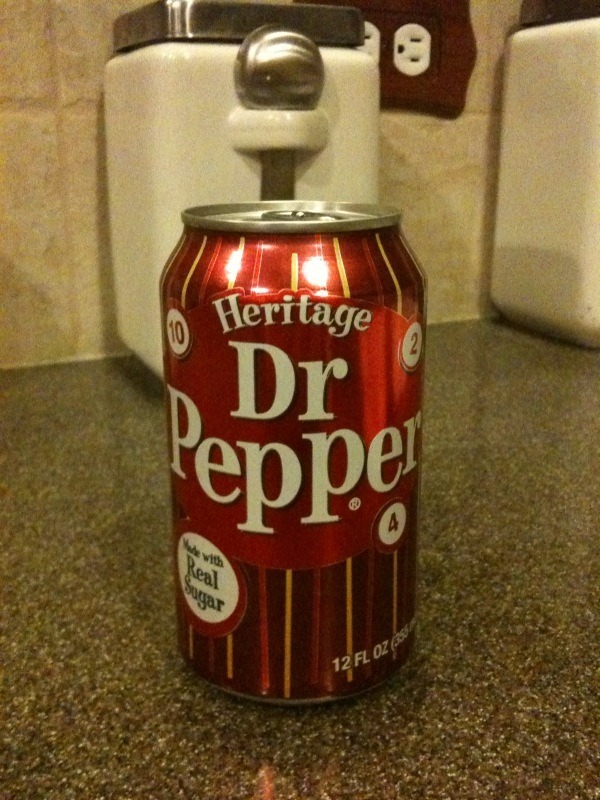 I got a case Heritage Dr. Pepper this weekend, and quite like it. I’d be happy if they switched the whole line to use sugar instead of corn syrup. I have no idea if the overall campaign, along with Pepsi’s “Throwback” drinks, has been successful, but I wonder if they’d have the guts to do it. Some people certainly prefer the corn syrup taste. Would they have a “New Coke” calibre fiasco on their hands if they changed their formula? The 10-2-4 times as suggested above were indeed times to drink Dr. Pepper. This advertising campaign was based on research done by Dr. Eddy in the 1920’s that showed that a persons energy levels were at their lowest points during the day at 10:30am, 2:30pm, and 4:30pm. So drinking a Pepper and getting all that sugar just prior to those times would pep one up.